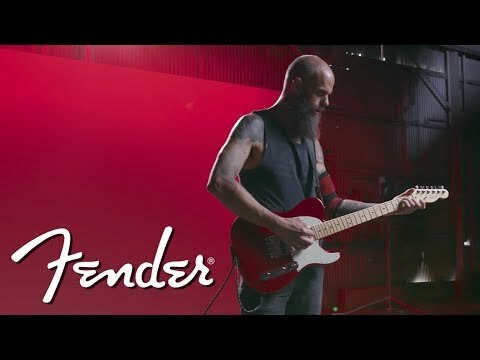 The Fender American Professional Telecaster solidbody electric guitar has been crafted to give you the best design elements from classic vintage Teles, along with the most popular modern features, in one gig-ready instrument. Tim Shaw designed the two V-mod single-coil pickups for a vintage voice that is balanced across all the switch positions. 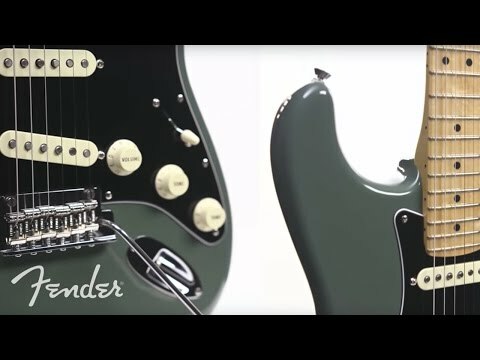 And Fender's popular neck carve has been enhanced to a Deep-C profile that increases playing comfort. 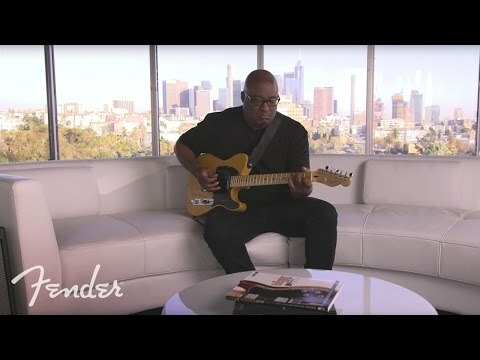 With all the elements that make Fender guitars legendary, the Fender American Professional Telecaster is a classic that will feel right at home in your hands. A great set of vintage Tele single-coil pickups should sound crystal clear, perfectly reflect your playing dynamics, and be able to get gritty and aggressive when needed. Pickup guru Tim Shaw designed this set of V-Mod single-coils to do just that. But unlike vintage pickups, the V-Mod single-coils are crafted with different alnico magnets in both pickups. 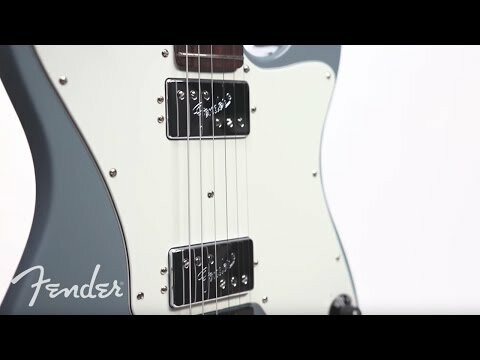 This means you'll enjoy consistent output across all the three pickup positions. And the onboard treble bleed circuit ensures your tone stays clear and present when lowering the guitar's volume. 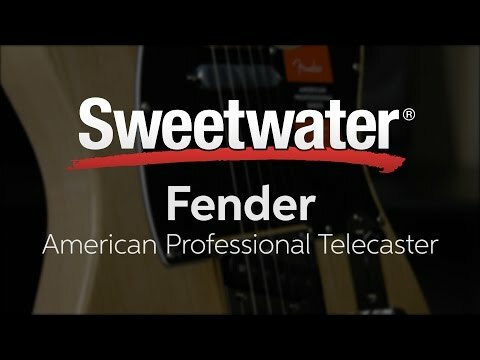 The Deep-C neck profile that you'll find on the Fender American Professional Telecaster solidbody electric guitar is a slight upgrade from the Fender American neck players have been in love with for years. By adding a touch more roundness to the back, the Deep-C carve fills your hand perfectly while never inhibiting your playing technique. And your fingers will immediately notice how much control they have on the fretboard's narrow-tall frets. 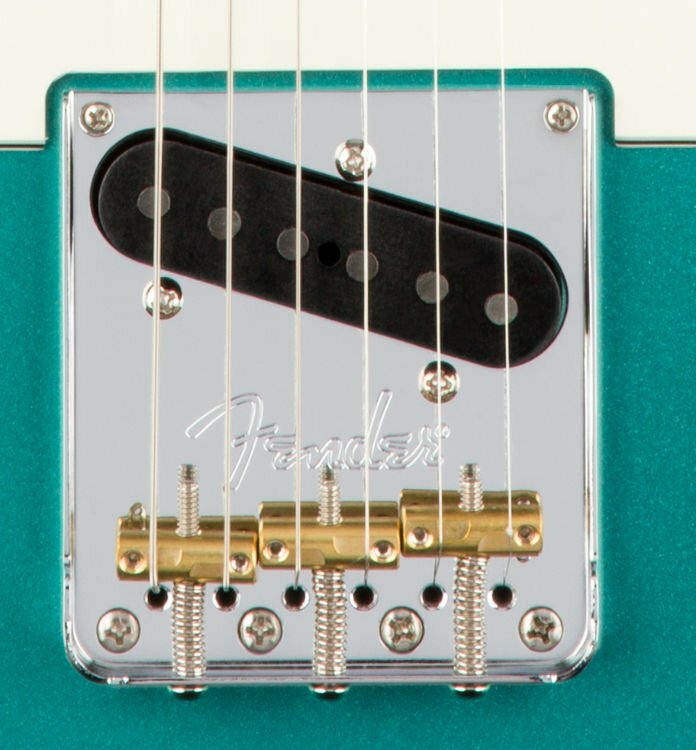 This fret wire is the most requested size at the Fender Custom Shop, and for good reason. 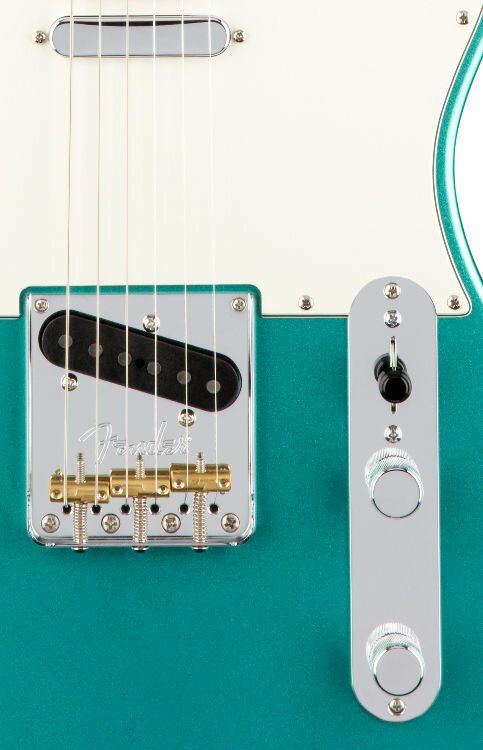 Another way the Fender American Professional Telecaster blends the best of old and new is its bridge design. Back are the three brass-barrel saddles that helped imbue vintage Teles with their unmistakable twang. But this guitar's brass saddles are compensated to achieve flawless intonation all the way up and down the fretboard. And the "ashtray" bridge plate is designed to give your picking hand plenty of room, even while palm muting.